When a stopped-up drain has put a wrench into your family's daily routine, call on the experienced professionals at Phil Ballam Plumbing & Heating. 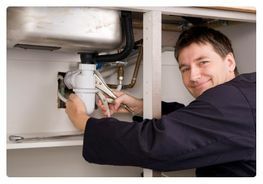 As fast and affordable plumbers in Victoria, BC, we offer a wide range of plumbing and heating repairs, installations and complete renovations. Let us upgrade your existing system or install an Energy Star® rated water heater to help you save money.